Yes, the theme parks – and, soon, the “theme water park” of Volcano Bay – are where all the action of Universal Orlando is at; one makes the journey in order to experience The Wizarding World of Harry Potter, ride The Amazing Adventures of Spider-Man, and delight in the Universal Horror Makeup Show, after all. 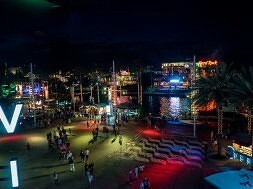 But it’s the dinning/shopping/entertainment complex of CityWalk that is, in many ways, the heart of the resort. 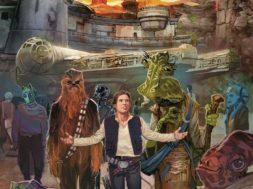 And, no, I don’t just mean geographically, as it’s the destination that the parking garage and all the various on-site hotels’ modes of transportation deposit you at – it’s the place to unwind, to recharge, to let your guard down and let a few new experiences slip past you. 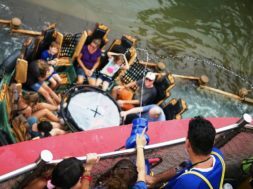 It may be the place that you think the least about, in other words, but where you’ll have some of the most fun in your entire Universal vacation. 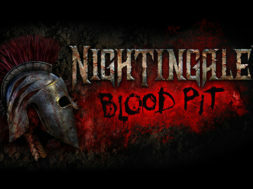 And what’s more fun than having a nice meal with family and friends gathered all around you? 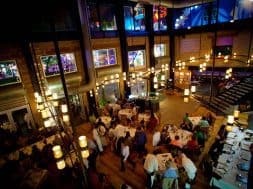 After multiple visits across the past few years – ever since my tenure with Orlando Informer started, as a matter of fact – I’ve finally managed to sneak in a visit to every single one of CityWalk’s table-service restaurants. In addition to crossing that achievement off my nerdily obsessive-compulsive list, I’m also now able to pass on some gastronomical wisdom to you, dear reader, and to hopefully help you choose where to eat at and where to enjoy your family’s company next. What are the table-service restaurants? 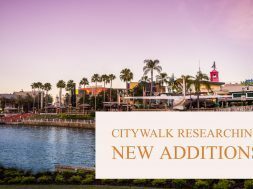 What’s great about CityWalk is the breadth and depth of experiences to be had with its table-service destinations – from the simple to the elegant, from the touristy to the avant-garde, from the (comparatively) inexpensive to the luxurious, there’s something for every palette. This, really, is the hardest question to answer, for a whole number of reasons: I’m an extraordinarily finicky eater; your set of parameters can wildly change, depending upon the current needs of price, speed, and décor; and, finally, I didn’t necessarily have equivalent experiences at each venue (a full meal at one, an appetizer at the bar of another). What I can say is this: a number of professional types really talk up Emeril’s, and with good reason – the place is, by far, the fanciest of all the CityWalk destinations, with really sophisticated aesthetics and menu both. The problem for me, personally, is that I struggled to find something that I could thoroughly enjoy, thereby justifying the price (see? I told you I’m picky!). And then a large swath of locals that I’m friends with swear eternally by Vivo, which is imminently more understandable – it’s warm, inviting, and delicious (you need to try their meatballs, which you can order up as an app). 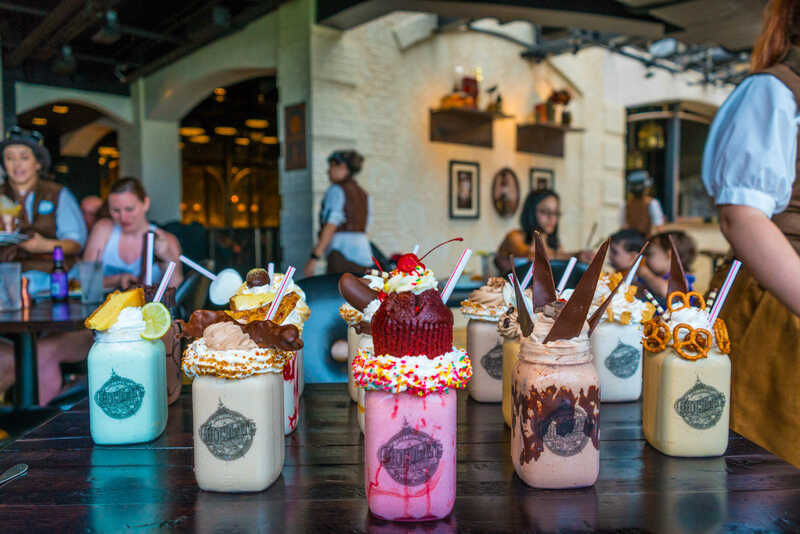 But for my personal, completely-arbitrary tastes, it has to be Toothsome Chocolate Emporium, and not just because it’s the newest addition to the area. 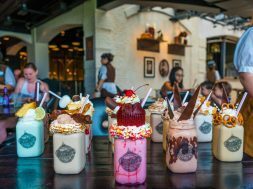 From its suave theming to its wonderful character meet-‘n-greets to, of course, its absolutely delectable milkshakes, this is the venue that packs the most wallop for your digestive dollar. It’s hard to top by almost any measure – and it’s inarguably the most fun. This is the easiest to answer. It’s hard to pick an eatery that is objectively bad – if one even exists at CityWalk – or one that is particularly lacking in any given category. But what you can find is a stop that offers dishes that aren’t compatible with my delicate palette, and that would have to be Bob Marley: A Tribute to Freedom. Given my aversion to even the slightest amount of spice, taking a gastronomical trip to Jamaica just isn’t my thing (sorry, jerk chicken!). 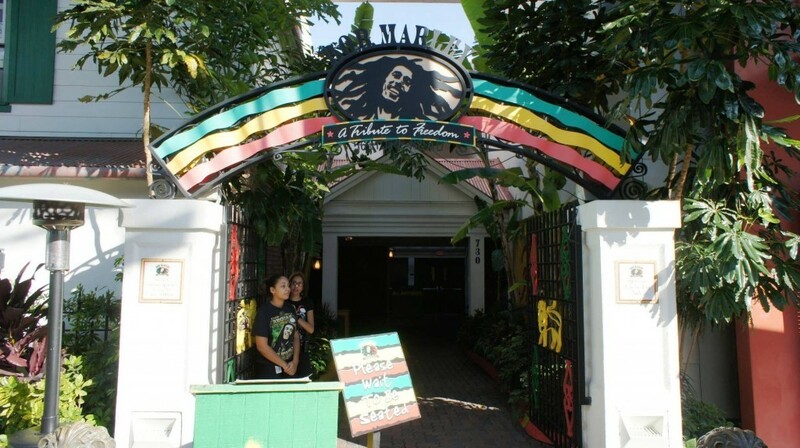 And given that Marley is among the oldest establishments in Universal Orlando’s dining district – it’s some 18-years-old – it neither looks as shiny as its neighbors nor does it feature many of its compatriots’ amenities, such as open kitchens or that newfangled contraption known as air conditioning (okay, this has more to do with replicating Bob’s house than technology, but still). But don’t let this deter you! Tribute to Freedom is, as I’ve mentioned on the Orlando Informer Podcast before, a hidden gem at the resort, a place that should deliberately be sought out at least once; it offers an overall experience and a range of tastes that just can’t be found anywhere else. If you like spice, that is. “Shocking” here means less Halloween Horror Nights and more, well, not at all what I was expecting when I initially walked in through the door. 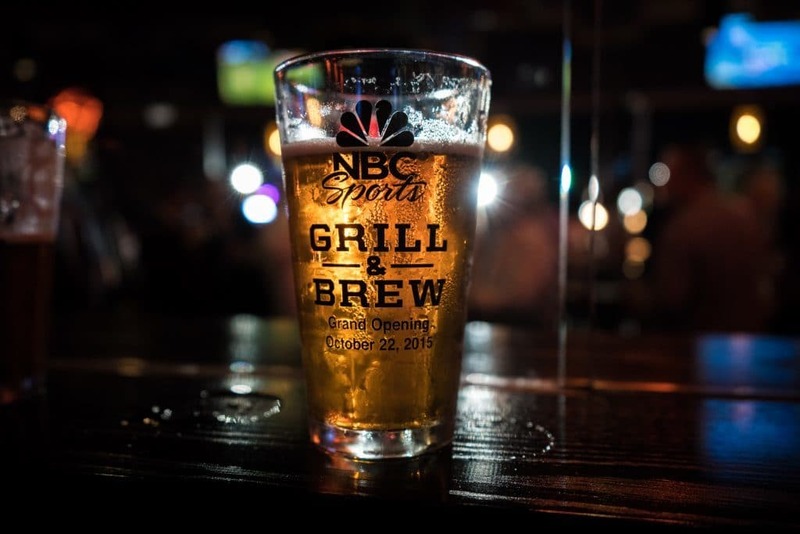 And that answer would have to be NBC Sports Grill & Brew, a bar that features an amazingly expansive menu – with an equally amazingly expansive offering of beers – and some really nice theming but which, at the end of the day, is still just your standard sports bar. Given all the little touches that Universal piled high on NBC Sports’ plate (such as the foosball dining tables, open-fire grills, and the veritable explosion of television screens all over its interior and exterior), I think my expectations started to drift out of check, even if subconsciously. Don’t let that happen to you. But, just as with Bob Marley, I need to stress the quality of the place. This will probably be the best bar food you’ll ever down in your various travels (the pretzel appetizer is a particular favorite of mine); if you’re looking for something more novel or more appropriate to your fantastical vacation, however, don’t go looking to what really is a deluxe version of Buffalo Wild Wings. Most standard (i.e., tourist trap)? The Hard Rock Café, Jimmy Buffet’s Margaritaville, and Bubba Gump Shrimp are easily the three biggest table-service chains that Universal has on its property. This is, of course, both a positive and a negative – it might not offer any of the uniqueness that, say, Toothsome or The Cowfish (which is itself a [mini] franchise) command, but they do provide familiar names for those visitors who may want a little slice of home (if from another touristy area) or who are hesitant to stop at any of the other restaurants. There’s certainly nothing wrong with this – one of the best breakfasts I’ve ever had on-site was at Hard Rock. 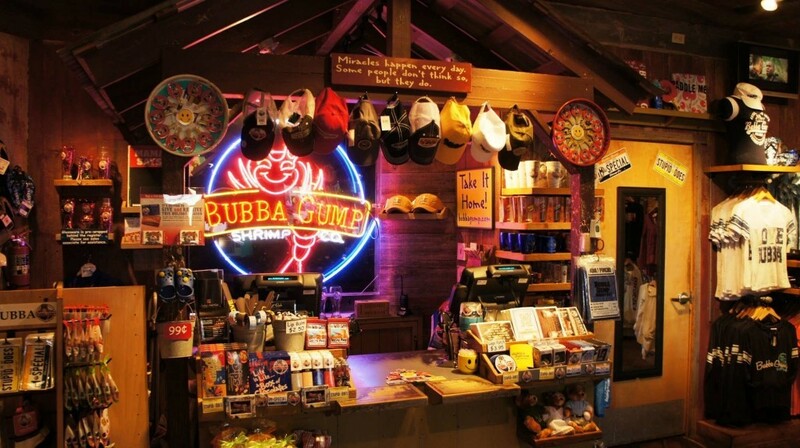 And the impressive nostalgic wares of Bubba Gump are like an attraction unto themselves. Why, yes – thank you for asking. There are so many wonderful locations to select from, and such little space to address them all in, it’s extraordinarily difficult to cram everything in. 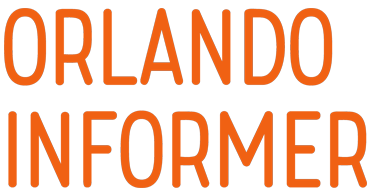 Pat O’Brien’s doesn’t have the selection that many of the other venues do, but it does have some of the best entertainment around – those famed dueling pianos that you hear so much about down in New Orleans – as well as the absolutely mesmerizing water-fountain torch. Seriously – you need to see it to believe it. And then keep on seeing it, as you won’t be able to take your eyes away, even to finish your Hurricane. 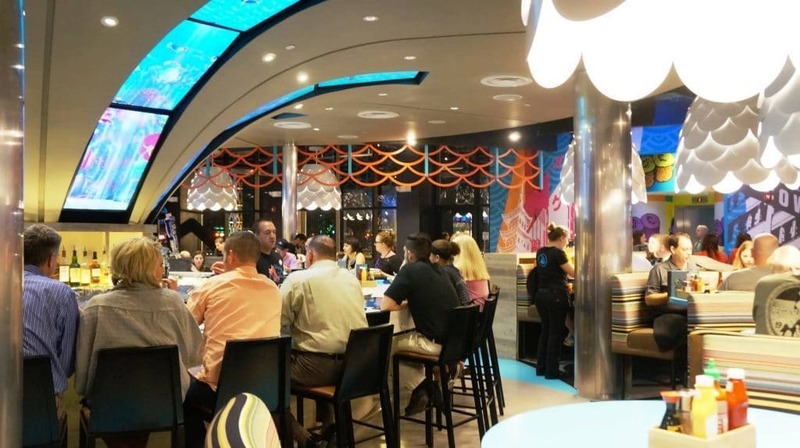 And though already (briefly) mentioned, The Cowfish Sushi Burger Bar absolutely deserves to be singled out even more. 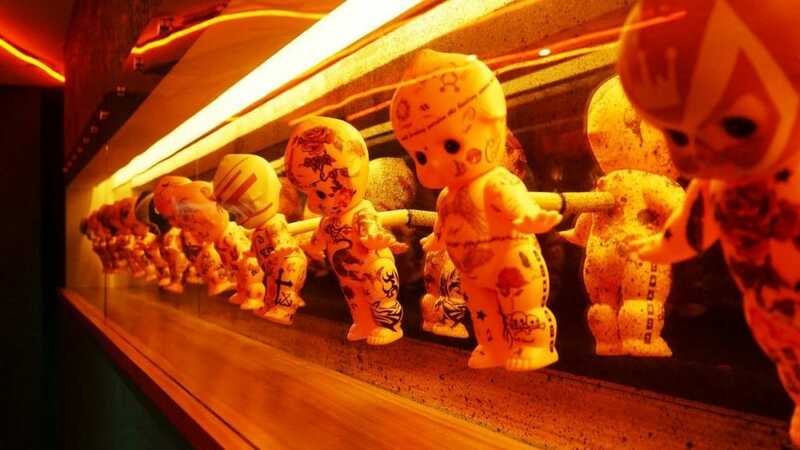 The food is both eclectic and delicious, the aesthetic touches are gorgeous, and the atmosphere is vibrant. You owe it to yourself to visit here at least once, and only if it’s to pick up a dessert from the (interactive) bar. Which restaurant is your favorite? Which ones have you yet to visit? Let us know in the comments below or over on our Facebook group. 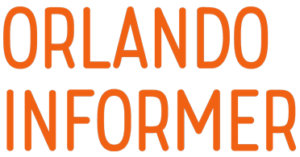 And, in the meantime, for the latest news, tips, and rumors at Universal Orlando, Walt Disney World, and other Orlando attractions, be sure to follow Orlando Informer on Facebook, Twitter, and Instagram. previous Does the new Harry Potter ride NEED Harry Potter?